Bobby Maddex interviews Fr. Patrick B. O’Grady, the author of the new AFP book Come, Let Us Worship: A Practical Guide to the Divine Liturgy for Orthodox Laity. Bobby Maddex interviews Kelly Ramke Lardin, author of the new Conciliar Press children’s book Josiah and Julia Go to Church: A Young Child’s Guide to Church Etiquette. Bobby interviews Fr. David Smith, author of the new Ancient Faith Publishing book Help! I'm Bored in Church: Entering Fully into Worship in the Divine Liturgy. 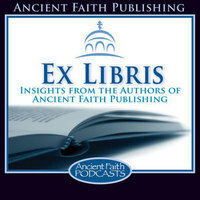 Bobby interviews Jane G. Meyer and Megan Gilbert, the creators of the new book A Child’s Guide to the Divine Liturgy, published by Ancient Faith Publishing. Bobby Maddex checks in with Andy Lekos of the Orthodox Christian Mission Center about a recent OCMC mission trip to Kenya. The two also talk about other upcoming missions opportunities. Ancient Faith Presents: Metropolitan Nicholas Smisko - Memory Eternal!